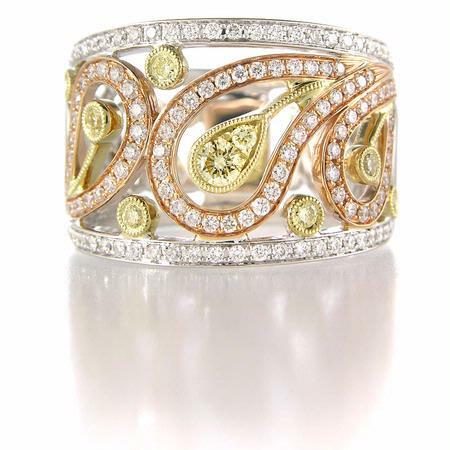 Diamond Details: Round brilliant cut white diamonds of G-H color, SI1 clarity, weighing .59 carat total with round cut yellow diamonds, weighing .24 carat total. 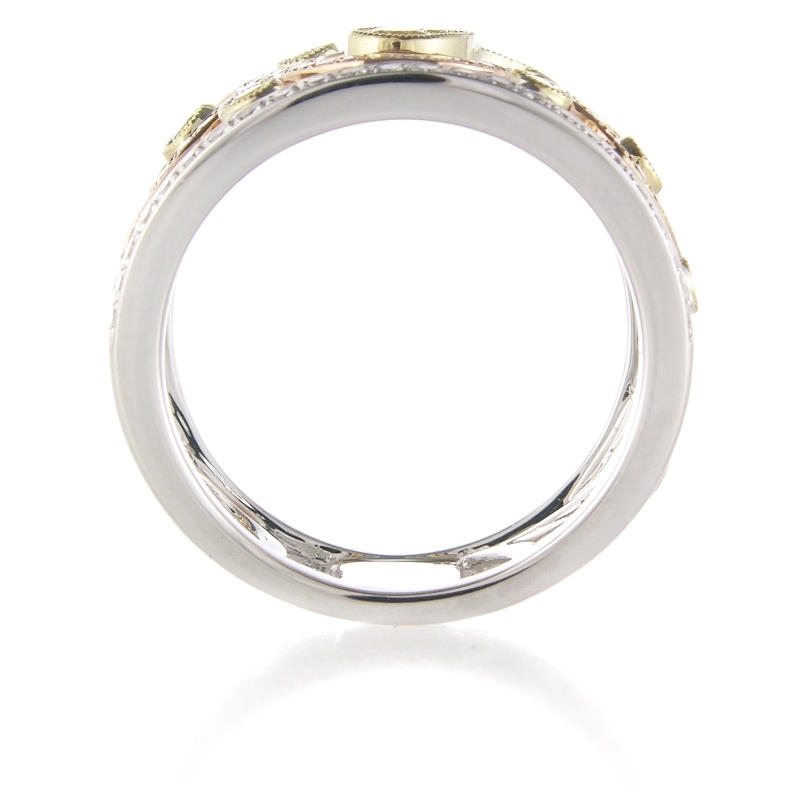 Ring Details: Simon G 18k white, yellow, and rose gold design with antique style caviar beading. 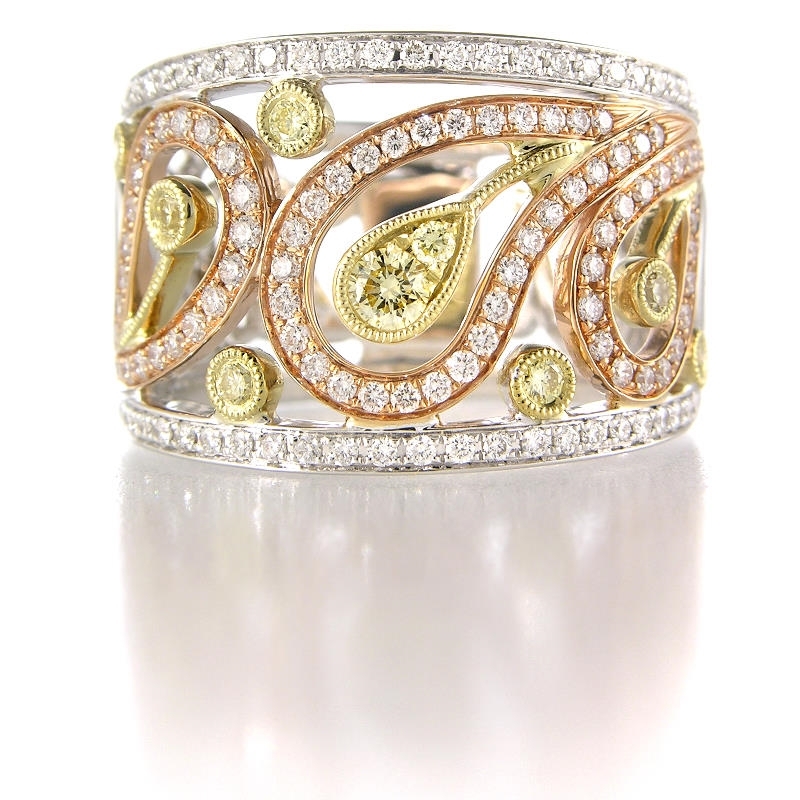 This Simon G antique style 18k white, yellow, and rose gold ring, contains very fine round brilliant cut white diamonds of G-H color, SI clarity, weighing .59 carat total, with round brilliant fancy yellow diamonds, weighing .24 carat total. 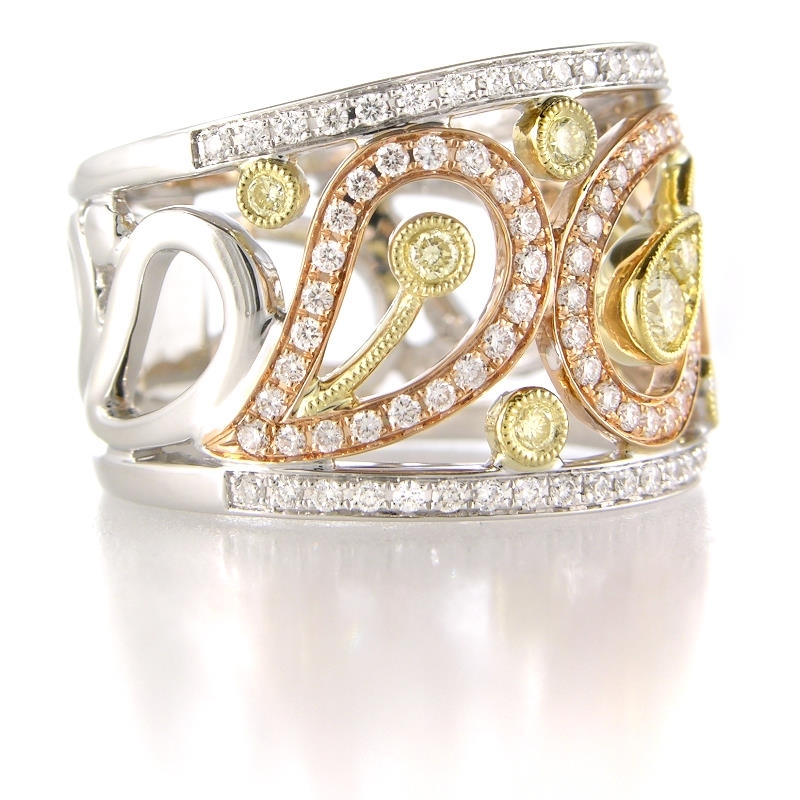 This ring features caviar beading, creating an antique style effect.